Maybe Bill Ackman should stick to Chicago-area companies. The New York-based hedge-fund manager has made billions of dollar shaking up local C-suites over the past decade, even as he struggled in some high-profile battles along the way. This week’s $13.6 billion sale of Deerfield-based BEAM Inc (NYSE:BEAM) to Suntory of Japan is the latest entry in a hit parade that includes McDonald’s Corporation (NYSE:MCD), Kraft Foods Group Inc (NASDAQ:KRFT) and General Growth Properties Inc (NYSE:GGP). Mr. Ackman hasn’t shared his investing philosophy with me, but I’m guessing his local forays aren’t inspired by a love of deep-dish pizza or the arrival concourse at O’Hare International Airport. It’s more likely that Chicago happens to have had a high concentration of companies ripe for his brand of shareholder activism. The activist investor Tom Sandell is not a man to be brushed off lightly, as troubled trains and buses operator FirstGroup is discovering. Mr Sandell, a Swedish born New Yorker, has racked up personal wealth of more than $1bn (£610m) by buying stakes in businesses and persuading (let’s not say “strong-arming”) them to make changes that increase the value of his stake. Having watched the travails of FirstGroup for several years, aided by his knowledge of its US bus operations, Mr Sandell, 52, broke cover last month to agitate for a break-up of the business. Phil Goldstein smells blood. 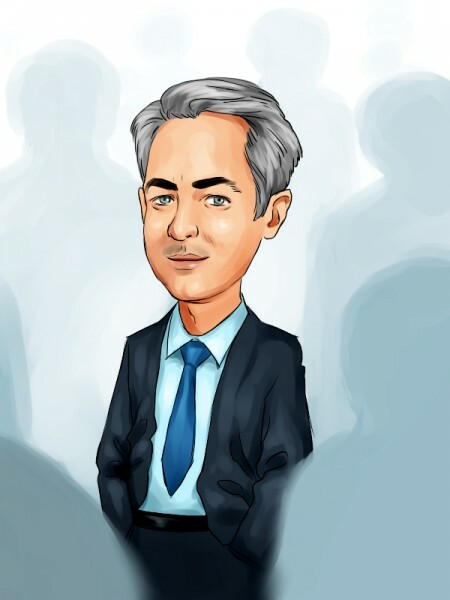 The activist hedge fund manager is setting his sights on real estate investment trusts after winning a five-month fight with Javelin Mortgage Investment Corp (NYSE:JMI). After pressuring management to significantly repurchase stock without success, Goldstein’s Bulldog Investors turned up the heat in November, announcing it planned to nominate new board members and proposed liquidating the company. Javelin’s Vero Beach, Florida-based executives capitulated and by the end of the quarter bought back 9 percent of its shares. Since the $600 million investment firm said in August it had built a stake in Javelin, the REIT has returned 33 percent, even as similar companies, including the two largest, Annaly Capital Management, Inc. (NYSE:NLY) and American Capital Agency Corp. (NASDAQ:AGNC), declined. Charlotte-based SPX Corporation (NYSE:SPW), an industrial-equipment manufacturer, said it reached an agreement with Relational Investors LLC for the activist investor to nominate up to two board directors. Relational can nominate David Batchelder, who co-founded the fund with Ralph Whitworth, to the S board after the 2014 annual meeting, SPX said in a statement Tuesday. The investor can nominate a second director for election at the 2015 shareholder meeting. In exchange, Relational agreed to vote for the company’s directors, the pump maker said. Relational has amassed a 15.5 percent stake in SPX since it began buying the shares in December 2012. A hedge fund manager who handled debt purchases at the center of a trial over the bankruptcy of LightSquared said on Wednesday he did not recall whether DISH Network Corp (NASDAQ:DISH) Chairman Charles Ergen was buying the debt to influence the bankruptcy. Stephen Ketchum, the head of Sound Point Capital, also testified that he could not recall how badly Ergen wanted the debt of the wireless communications company, apparently contradicting an earlier deposition and drawing a reminder from the judge that he was under oath. LightSquared and its owner, Harbinger Capital Partners, accuse Ergen of improperly buying the debt as a way for Dish to take control of LightSquared’s wireless broadband rights. Ergen has said he was buying the debt for his own purposes.